Lovely 2/2 villa nestled in the heart of Boynton Beach in the well established active community of Chanteclair Villas. 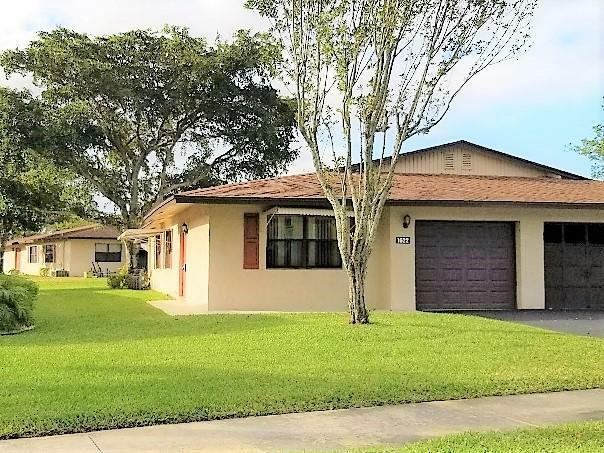 Complete with a 1 car garage and enclosed Florida room, this home offers an open concept floor plan, tiled living areas and natural light throughout. Less than 10 miles from beaches, minutes from I-95 and surrounded by great shopping, fine dining and entertainment. Residents can enjoy the communities clubhouse with billiards or cards as well as 3 pools, 4 bocce ball courts and shuffleboard. A wonderful community to call home!! !